Just over a year ago, we reported on a paper by Hearn et al. that had shown that a specific inherited mutation in the HSD3B1 gene seemed to be associated with a more aggressive form of prostate cancer that was less responsive to treatment with androgen deprivation therapy (ADT). Hearn JWD, et al. Association of HSD3B1 genotype with response to androgen-deprivation therapy for biochemical recurrence after radiotherapy for localized prostate cancer. JAMA Oncol. Published online October 12, 2017. Almassi N, et al. HSD3B1 and response to a nonsteroidal CYP17A1 inhibitor in castration-resistant prostate cancer. JAMA Oncol. Published online October 12, 2017. Hahn AW, et al. HSD3B1 — a predictive biomarker in advanced prostate cancer. JAMA Oncol. Published online October 12, 2017. The presence of the mutant allele 1245C of the HSD3B1 gene was associated with more aggressive and progressive prostate cancer in a cohort of 118 men, all treated by radical prostatectomy for what had been assumed to be localized prostate cancer. The risk for progressive disease was strongly associated with the number of copies of the mutant allele. Similar findings seemed to be apparent for metastasis-free survival and overall survival of such patients. In a cohort of 213 men, all treated with primary radiation therapy at the same center, inheritance of the HSD3B1 (1245C) allele was not associated with a shorter time to progression or overall survival, but was associated with shorter times to metastasis according to the number of variant alleles inherited. The presence of the HSD3B1 (1245C) variant allele was associated with increased duration of therapy and increased progression-free survival when these patients were treated with ketoconazole (which is a non-steroidal CYP17A1 inhibitor). HSD3B1 (1245C) inheritance — a known predictive biomarker of resistance to castration — is also predictive of response to non-steroidal CYP17A1 inhibition, potentially identifying a subset of prostate cancer tumors that are clinically more dependent on extragonadal precursor steroids. So what does all this actually mean from a patient perspective? Basically it is telling us that men who carry the HSD3B1 (1245C) variant allele will not usually respond as well to ADT as the men who do not carry this allele, but they will do well if they are treated with a non-steroidal CYP17A1 inhibitor. What this study does not tell us, however, is whether these men will do well if they are treated with either abiraterone acetate (which is a steroidal, as opposed to a non-steroidal, CYP17A1 inhibitor) or enzalutamide (which acts on multiple steps of the androgen receptor signaling pathway within prostate cancer cells). Finding this out is going to take additional research. 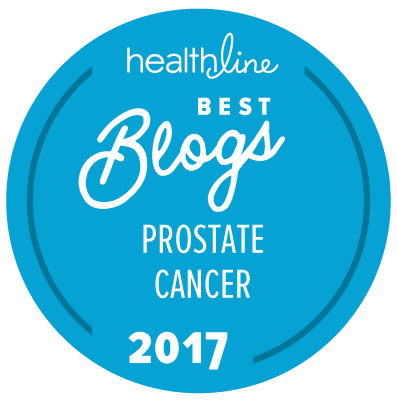 However, knowing whether or not you are a carrier of the HSD3B1 (1245C) variant allele may now be important for men with progressive prostate cancer, and especially so for those who seem not to be responding as well as expected to standard forms of ADT. The presence of the HSD3B1 (1245C) variant allele may suggest that you are a good candidate for early treatment with ketoconazole or for participation in new clinical trials that will probably start to explore whether such patients respond well to early treatment with abiraterone acetate or enzalutamide. Interesting that the old, relatively inexpensive CYP17A1 inhibitor, ketoconazole, may work in these rare cases even if abiraterone doesn’t. I know that abiraterone also inhibits intratumoral synthesis of androgens. Unfortunately, abiraterone was never tested in an RCT against ketoconazole. Also, would be very interested to know if keto incurs the same kind of cross-resistance with enzalutamide that abiraterone has. The Hahn et al. paper (with two authors who I know well) highlights what Neeraj Agarwal spoke in detail about at our SWOG meeting 2 days after the release of this document. Neeraj is the PI on the SWOG S1216 trial that I have been involved with since before it’s release (see here). Orteronel is a CYP17,20 lyase inhibitor that is currently being evaluated in an ongoing clinical trial that is fully accrued (with > 1,300 patients). We will be analyzing it in a couple years and there is a strong molecular subset in that trial that will have men with 1245C allele that will be interesting to evaluate. Unfortunately, there won’t be any data comparing abiraterone acetate v. ketoconazole v. orteronel on which would make the better CYP17A1 inhibitor. Orteronel, however, does not require a steroid as abiraterone typically does.